There are a lot of webcomics out there. I read ’em, and if I like ’em, they end up here. This week I’m talking about Clockworks and Spine. Clockworks, by Shawn Gaston, is self-described as “a steampunk/fantasy story, set in a world of giant stompy robots, outlawed magic, forgotten and dangerous old gods, ether driven mad science, and goggle wearing heroes who travel the world in search of danger and adventure.” Sounds good! It is also based on Shawn’s actual RPG sessions where he is running a home-brew campaign using the Savage Worlds RPG. Sounds… scary. Why scary? Well, everyone pretty much thinks their RPG sessions would make a great story. Not many RPG sessions actually make great stories, in my experience. So I had some reservations going in. For the most part, I am glad to say that I needn’t have worried. For one thing, the artwork goes a long way toward making any worries I might have had disappear. The characters look dashing and cool in their steampunk gear, and the city feels gritty and fantastic, with its true immensity only hinted at so far. I really dig the scenes in which characters are tiny silhouettes hopping up and over buildings as they chase or are chased. There are some clever nods to the RPG world. The main characters are Private Constables who patrol their neighborhood fighting crime that the National Police are not interested in. Private Constables/Player Characters, get it? Oh well, I thought it was funny. There is also a flashback story told by one of the character’s grandfathers about a similar group of adventurers that he used to be a part of, and as Shawn says in the comments, “those guys scream Group Of Player Characters.” That’s okay for me, though. Any group of diverse characters in a team (The Avengers, anyone?) can scream group of Player Characters, since they usually serve specific roles in the larger group. Where the RPG origins betray the story a bit is in the formula of bad things happen-PCs find clue(s)/trap(s)-PCs confront bad guy(s)-PC is injured and healed by mage-bad guy is taken down-repeat. The healing magic, especially, removes much of the sense of peril from the comic. Perhaps a main character might die if the human player behind them leaves the group, but I suspect most every main character is safe. In the end, I got past this concern and just enjoyed the story for the fun, steampunk action-adventure that it is. Okay, so maybe our heroes will always survive the impossible odds stacked against them. As long as they adventure in style, I’m in for the long haul. Spine, by Cihan Sesen, is a dystopian action-adventure story that mostly focuses on the exploits of the pseudonymous assassin, Spine. The art and story styles remind me of issues of Heavy Metal that I used to read when I was a kid (borrowed from my older brother). As with them, I don’t always understand what the hell is going on in Spine or where the story is going, but I enjoy the journey. In that, and its dystopian themes, it reminds me a bit of Derelict, although the world of Spine feels much more populated than the lonely world of Derelict. So who is Spine? She is a daredevil assassin with a spiffy pair of goggles that give her a detailed view of the world around her. She is also a baker who works for some sort of covert organization called the Bakery, which is simultaneously a collection of chefs and a socio-political power. I don’t know. I don’t care. It’s fun. The third, and current, chapter of Spine is a flashback to Spine’s origin. It breaks from the high-flying action to tell a more touching family story, and in that ends up being more powerful than the previous chapters. The world of Spine is one of fossil fuel shortages, raised coastlines due to global warming, and warring world powers. The tech level very much feels like a conglomeration of whatever can be scavenged from the old world, as when Spine is chased by a fleet of converted Beetles. (That sequence is a blast, by the way.) The one truly high-tech device present in the story appears to be the Sundrive that everyone is hunting for, a device that can supply unlimited power. Cihan’s art has a very rough, loose feel to it, which fits the story well. Most pages in the first two chapters have a predominant color theme for the page. Interestingly, Chapter 3 feels markedly different from the previous chapters, both in the use of cleaner, thicker lines and more colors. Whether this is a natural progression in Cihan’s art or a specific choice for the flashback, time (and more pages) will tell. Spine, the assassin and the webcomic, is violent, as you might suspect, so if messy deaths aren’t your thing, be warned. I think the action scenes are fun, the world has piqued my interest, and Chapter 3 adds depth to Spine’s story that promises that this will be more than a simple assassin-killing-people type action adventure thriller. Ellie on Planet X: What does Jeff look like in full-color? Well, like Jeff, only better. The Doom That Came To Sarnath, Page 4: Wow. Amazing details on this page. And I am sure that these humans will suffer no repercussions for their actions…. Everblue: I may suffer from a cuteness overload thanks to Luna and Ten. And it’s going to be twice a week again soon, so I’m in even more danger. Friday: Oh heck, I think I’ll stick with my Fiction Friday theme for the time being. More about what I’ve been reading and enjoying lately outside of the world of webcomics. Sunday: Part 16 of The Only City Left, my own SF/F serial action-adventure story. In Part 16, Allin’s flashback to the time of his parents’ death continues. Want an easy way to catch up on the story? Check out my The Only City Left Readlist where you can read the parts in order and even send them as an ebook to the device of your choice. If you are new to The Only City Left, you might want to start with the Table of Contents. At the end of Part Fourteen, Allin had reunited with his parents and gotten them to agree to return to Glin’s Rising with him to rescue Tyena, the love of his 15-year-old life. Let’s see how that goes for them, shall we? The sense of wrongness only intensified as we approached. Dad led the way, his gun drawn. I knew then how seriously he took the threat of attack; the gun was down to half-charge on its last power cell and might as well have been locked behind a glass case that read “For extreme emergency only,” for all that I had ever seen him use it. Mom followed close behind, a knife ready in each hand, and I trailed them both, weaponless. Feeling a bit defenseless, I stopped and kneeled down to rummage through my cocoon bag. “What’s that you’ve got there?” Mom whispered, looking back when I caught up to them. She nodded and we continued on. We made our way down alleys and side streets rather than use the main road, but all three of us knew that if anyone had been watching closely, they could have seen us already at the top of the utility platform. Once we were inside the town proper, we stopped a few blocks away from the main intersection where the Glinites held their swap meet. From a distance, we could see that it was abandoned, tables overturned, produce scattered. My stomach tightened into a fist, tugging on my insides until I wanted to cry out. “Where did they all go?” I whispered. Glin’s Rising wasn’t the largest community we had ever passed through, but there had been at least a hundred people making a life here and it had only been a couple of hours since I had seen them last. Now, Glin’s was a ghost town. I had so many questions for him, but it wasn’t the time to get into a long discussion, so I forced them down and kept quiet. We slunk along abandoned storefronts, small businesses turned into apartments for the current residents. There was no sound of life in the town, no sense of presence that you get from the inhabited portions of the city. Where is everyone?, I wondered again. In my darkest moments on the run back to Glin’s, I had steeled myself for the death and devastation I might confront when I returned. This absence of any presence felt much worse. A firm hand on my shoulder broke into my thoughts. Dad pulled me to a stop around the corner from the department store, a finger to his lips. He stood still, listening, although I could hear nothing but the stirring of wind from the ventilation system far overhead. He nodded and then turned to me, nearly backing me up against a brick wall. Eyes wide, I nodded. The roof of the department store, Tyena’s hideaway. There was only the one door that let out onto it from inside and Tyena had all sorts of things up there that I could use to block the door. She nodded, head held high, a wistful look on her face. “This is the man I remember,” she said, and I had to look away as they shared a moment. We rounded the corner and crept past the ancient ads and decrepit mannequins that filled the darkened window displays. Before we reached the front door, Dad stopped us and listened again. I nodded twice and goose-pimples rose on my arm at the thought of what lay in store. “Allin, we love you,” Mom added, but before I could reply to her, a muffled scream came from inside the store. It pierced my heart and brain with one shot, erasing all plans, spurring me into action. I pushed past my parents and tore open the door, which protested with a shriek of metal on metal. Inside, the abandoned store was dim and murky, the only light that which filtered through the grimy glass of the front doors. As I stumbled toward where I thought Tyena’s scream had come from, jumbled silhouettes blocked my path, the detritus of another civilization. “Shhh, someone’s here,” a man said, his whisper carrying like a shout. While they spoke, I dropped to all fours and crawled closer to where the voices were coming from. Toward the back of the store, I found them. In the tenebrous light, I couldn’t make out their features, but I could see Tyena pinned to the floor beneath someone, and three others loitering around them. Fountains of rage coursed through my veins and I gripped the magma stick as if it were a sword out of legend. I was ready to throw myself into their midst, despite the odds, when Dad’s voice boomed out across the room. See how the mewling pukes react in Part 16, or read my notes below first! Note: I only today realized that I am losing italics when I copy from Scrivener into WordPress. Wonderful! I’ll have to go back and check all my previous posts to see how often that happened (I know some posts were copied from Word…). It is time for another edition of Fiction Friday, that travelogue of my journeys through the fictional realms. So where have I been and where am I going? Let’s take a look. I finished Blackbirds by Chuck Wendig last week. In case you haven’t heard of it, here’s the quick rundown: Miriam Black is a troubled young drifter who, with a skin-to-skin touch, can see your future. Specifically, the moments of your death. When the novel begins, Miriam is using this ability to live day-to-day, arriving at the moment of someone’s death and stealing enough cash and credit from them to get her to the next soon-to-be stiff. She quickly gets in over her head in a story about death, Fate, and violence. Lots and lots of violence. Do I recommend Blackbirds? Yes, with a caveat that if dark, violent fare is not your thing, you might want to stay away or at least steel yourself for it before reading. You can pick up Blackbirds at Amazon or DRM-free direct from the publisher. I found Linda Nagata’s short story, “Nightside on Callisto,” at Lightspeed Magazine. It is set in a future where some sort of digital plague called the Red has infected all the humans on Earth, leaving only those humans who are living farther out in the solar system free to fight back against it. The story focuses on a team of four older women who are setting up an ice-mining operation on the Jovian moon, Callisto, to supply the free humans with water. This is a dangerous operation, which is why these tough-but-expendable women were sent to do it. The mission wasn’t supposed to be this dangerous, though. I liked that the story was packed with all sorts of neat technologies, had good action scenes, and a satisfying, non-kicker ending. I must admit I have never much paid attention to the various SF/F awards out there; I just read what sounds good to me. However, I saw this list of winners and nominees for the Nebula Awards, so I thought I’d check it out. I decided to read the winner in the short story category, Ken Liu’s “The Paper Menagerie,” which first appeared in The Magazine of Fantasy and Science Fiction, March/April 2011. Wow, The Paper Menagerie is one emotional powerhouse of a story. It is about a half-Chinese/half-American boy who grows increasingly embarrassed about his Chinese immigrant mother. I admit I was a bit choked up by the end. I do find it interesting that the story contains only the barest element of magical realism. That element is vital to the story, but it is not what springs to my mind when I think of a story that would belong in a science-fiction/fantasy magazine. Ouch. I can feel my horizons being broadened. Now I’m going to have to read the other nominees in the short story category to see what else I have been missing out on. I picked up 2312, the latest by Kim Stanley Robinson, on its release date and will have a review up once I finish it. I am 10% in (per my Kindle), and so far it is reminding me of his Mars trilogy, which is my favorite of his works. (In second place, The Years of Rice and Salt.) As usual, I have trouble getting my head around some of the science, but it is balanced with interesting characters and a mystery to pull me past the parts that make my brain melt. Sunday: Part 15 of my SF/F serial adventure, The Only City Left. Want an easy way to catch up on the story? 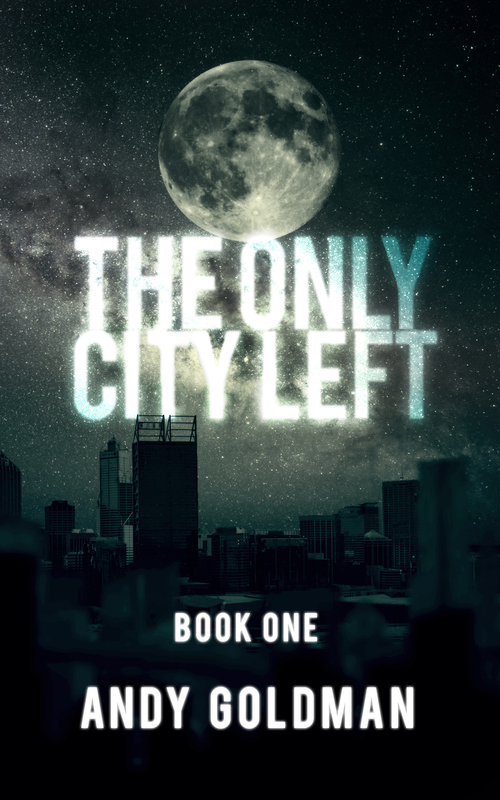 Check out my The Only City Left Readlist where you can read the parts in order and even send them as an ebook to the device of your choice. Webcomics Wednesday: Each Wednesday I review some of the wonderful long-form webcomics that are out there. Not familiar with webcomics? Think comic books by passionate independent creators, released for free on the web. Check them out! Header photo of rare books (cropped), courtesy of Amelia-Jane on Flickr. Cover of Blackbirds from the publisher, Angry Robot. Image of Callisto via Wikimedia Commons, courtesy of NASA. Origami animals image courtesy of Jetske19 on Flickr. I have two science-fiction webcomics to talk about today: Beardy Bastards and Red’s Planet. Beardy Bastards, by T.E. “Teb” van Dijk and Jorine Houweling, pretty much had me at the idea of dwarves in a science-fiction setting. What can I say, I’m easy that way. Luckily, the series delivers on the promise of its premise. The story starts in the middle of a worst-case scenario: aliens are invading a mining outpost and have overrun all its defenses within hours. Thekki (pictured below) is the first dwarf we meet, and as you can see, he’s not taking this alien invasion lying down. He is one of the wise-cracking, tough-talking, hard-drinking dwarves who we will follow as they try to warn their superiors about this unexpected threat. Beardy Bastards is almost 60 pages in and so far there has been plenty of humor, cool action sequences, some nice misdirection, the feeling of real peril for our main characters, and distinctive personalities for each member of the team. The group of dwarves reminds me of how well the colonial marines are fleshed out in Aliens (which is obviously a touchstone for this story). That’s another thing I like. The creators obviously have an appreciation for some classic SF movies like Aliens, Predator, and The Fifth Element. Sometimes it comes out in the comic itself, sometimes in Teb’s comments below the page. In any case, these shared references make the comic even more fun for me. That, and dwarves with flame-throwers. Can’t go wrong with that. Red’s Planet, by Eddie Pittman, is the story of an orphan called Red (though she can’t stand that nickname), who runs away from her foster home and ends up in outer space. The art style here is very fun and cartoony, especially with all the alien races that we meet. (Check out this page from Chapter 2 (follow the link on the page for a hi-res image) to see a lot of alien and SF in-jokes (let’s play Where’s Han Solo!). I also enjoy the detailed touches on the more everyday parts of the story, like when Red takes her sweater off, it pulls her shirt up, too (don’t you hate when that happens? ), or the way her sock flops over at the toes after she loses her shoe. It is Eddie’s keen eye for little details like this that make me pay close attention to each page to see what he has come up with. I came across Red’s Planet once before but didn’t read it because it appeared to be left unfinished, so when I saw it was up and running again, I was happy to give it another shot and I’m glad I did. (More good news: another Spacedock 7 webcomic returns soon: Cleopatra in Spaaaace! on June 4th.) Red is a fun character and I am looking forward to following her adventures among the aliens. The Adventures of the 19XX: I never mind dinosaurs in my pulp fiction. Hmmm, someone should do a dinosaur version of Pulp Fiction. Hunter Black: I like that the Divine Quintet are not all weapons. Each of these items could have a nice series of stories about its history. LeyLines: The whole sequence leading up to this scene is great, but this page rocks (and it took me by surprise). Battlepug: There is a history of cute, oversized animal monsters in Battlepug. Gil is no exception. Fiction Friday: More of what I’ve been reading lately. Sunday: The Only City Left Part 15, as Allin’s flashback to the time of his parents’ death continues. If you are new to The Only City Left, you might want to start with the Table of Contents. 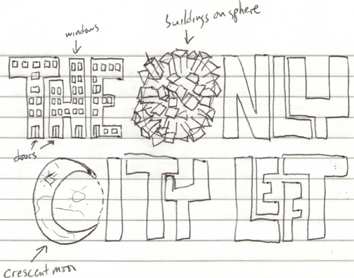 Also, in case you missed it, I had a The Only City Left: Behind The Scenes post on Friday that you might be interested in. At the end of Part 13, Allin started to retell the story of his return to Glin’s Rising, the story of how he killed his parents. Let us enter “flashback mode” for the rest of the story. It was easy enough to retrace the path we had taken from the utility door. Even if I had not marked the way for Tyena, I was pretty good with directions and landmarks. Mom and Dad had drilled that into me: be familiar with your environment, even if you’re only passing through. The whole time I ran back along our route, I warred between believing I would meet up with Tyena on her way to find me, and worrying that something bad, something really bad, had happened to her and possibly all of the Glinites. With each passing minute, my worry grew stronger. When I reached the utility door that would open onto the platform that overlooked Glin’s Rising, I put a hand against the wall and leaned over to catch my breath. Frenzied thoughts filled my head. No Tyena. She was right behind us! She’s in trouble. Maybe she got lost. She couldn’t have gotten lost. She’s in trouble. Glin’s Rising is in trouble. I’m in trouble. My parents had said that the people following us were dangerous. If they had already reached Glin’s Rising and I returned there, I would be throwing myself right into that danger. It went against everything I had been taught. But there was nothing else for it. If Glin’s Rising was in danger, if Tyena was, it was because of us. I had to do something. Sufficiently recovered from my run, I stood up straight, took a deep breath, and pushed the utility door open a crack. All was silent except for the usual background hum of air being circulated. I half expected someone to be lying in wait on the other side of the door, but the platform was empty when I stepped outside. My growing sense of foreboding did not lessen, though. If anything, the area was too quiet, too still. Which is why I should have heard someone sneaking up behind me, but I didn’t. All I knew was that all of a sudden a hand was clamped around my mouth and an arm around my chest and arms, and I was lifted up and carried backward into the utility tunnels. Once inside, I saw Mom easing the door shut and I relaxed my frantic struggling, at which point Dad, for it had to be him, loosened his grip on me a little. Dad’s voice was cold and hard; I barely recognized this new version of him. “Lemme go! Tyena’s in trouble,” I spat out from behind the palm of his hand. “Hon, what makes you think that?” Mom asked gently. “Let. Me. Go,” I insisted, tired of being restrained by my own father. He did, but not without moving around to block the door first. Once out of his grip, I stumbled forward and then turned on him, tears in my eyes. “She was going to follow me. Us. I saw her running, waving. I thought she was excited. But now, now—” I couldn’t finish the sentence. My nose was full of snot and my vision was blurry and my father stood between me and the door, his face set. I could tell I wasn’t getting through to him. “You think she was running away from someone?” Mom asked, glancing back and forth between my father and me. Mom gasped as if Dad had struck her, and he instantly looked regretful, but the hard mask returned to his face. I felt like I was having an out-of-body experience, watching my parents argue like this, hinting at a past to which I had never been privy. Dad started to reply but I interrupted, loudly. Both of them turned to me with shocked looks on their face. Dad started to speak and I cut him off again. I seethed with frustration, not sure what my next move would be when Dad refused to budge, which seemed likely. Mom moved in close and put a gentle hand on Dad’s shoulder. He closed his eyes and sighed, then re-opened them and stared at Mom and me in turn. I threw my arms around him and squeezed him as hard as I could, and he squeezed back. Mom joined in on the group hug and then we each stood apart. “Okay, let’s do this,” Dad said, his voice wary. Together, we made our way back to Glin’s Rising. Continue to Part 15, or read my notes below first! 5/20/12 News: Whoa, Part Fourteen almost didn’t get posted on time, not because it wasn’t written but because I forgot what day it was! I blame Diablo III for distracting me. Thanks to everyone for reading. Comments are always appreciated; I’d love to know who is reading and what you think. For my new readers, welcome! Care to let me know how you found The Only City Left? Finally, if you could share the link to this story with even one person who you think might enjoy it, I’d be ever so appreciative. Thanks! Note: This post originally went live between Part 13 and Part 14. Since this blog is supposed to be about the things I am interested/involved in at any given moment, today’s post is going to be about my own serial SF, The Only City Left. When I re-started this blog, I set a goal of three posts a week, to push myself to write more and stay on a schedule. I started writing The Only City Left (TOCL) because I figured it would be a good way to take care of one of the three weekly posts. I started the story with an idea, which was to have a fun, scary adventure through a future Earth where the entire planet is one gigantic layer-cake of a city. The setting would allow me to throw almost any fantasy or science-fiction element that I wanted into the mix. Fun would trump realism as needed. I knew that my main character, Allin, would be alone. Allin, alone, get it? Gosh, I amaze myself sometimes (not now, but sometimes). He would be in danger. And he would be trying to reach the surface of the city and see the Sun. Except for a list of all the cool things I would want in a story (sample: vampires, kung fu, robots), I had no particular outline of what would happen. I like to write this way, to discover the world and characters as I write. I am now 13 Parts and 14,000 words or so in (Pt 13 was double-sized), with another 5,000 words in the buffer. And while I won’t say it has become more difficult to write TOCL, I will say that I am putting more care into it now. The story has come to life for me and I don’t want to give it short shrift. So what does that mean for me? For one thing, I had to go back and do a thorough re-reading of my work recently, to take notes on the people and creatures who show up, the plot points that are hinted at, gadgets and technology that are mentioned, that sort of thing. I also discovered pieces of the story that didn’t make sense together. Yikes, only 14,000 words in and I’m contradicting myself already? In Part 1, Allin narrates: “If I had a last name, I’ve forgotten it.” Ummmm, really? Later on, he is addressed by his first and last name and he doesn’t think, “So that’s my last name!” And it doesn’t make sense for him to have forgotten his last name, actually. It was fun to write at the time, but that little tidbit can and will be removed from later versions of the story. Part 4: In the original flashback, it starts with Allin saying he was 13. This doesn’t make sense for many reasons, not the least of which is that his love for Tyena, while perhaps naive at 15, is a bit creepy and weird at 13. I’ve already changed this one on the website for any new readers who come along. There are other items that I caught that I would not call errors so much as items that need to be explained at some point. For instance, the werewolf ghost that chases Allin interacts with his environment in a more physically destructive manner than other ghosts in the story, and he doesn’t pass through inanimate objects like the other ghosts. I’ll admit I didn’t really notice I was doing this at the time, but I have since come up with reasons for this and it actually dovetails amazingly well with the plot that is brewing. It is an example of what I like to call a “Thank you, subconscious” (TYS) moment. Yes, I do believe that sometimes my subconscious nudges me in one direction or another or outright inserts something into the story that I don’t think much about at the time, but which makes sense when I look back on it later. With a little wiggle room going for me thanks to the 5-week buffer, I am starting to outline the “tentpole” moments in the story (a good piece of advice that Chuck Wendig recently tweeted); I am using note-cards and a bulletin board to put events in order (inspiration courtesy of Travis Kotzebue), and most importantly, I am figuring out how I want the story to end (good advice from one of my favorite comic book writers, Greg Pak). Yes, I started the story without knowing the ending. Shame on me. Finally, I have been reading other serials on the web lately, and one of the ideas I am taking away from them is that a title banner for the story would be nice. I’m no artist, but here’s some concepts I scribbled today. Just some ideas; not essential to the story but it might catch the eye more than the current wall of text. Okay, so that’s a look into my TOCL-ized brain at the moment. I hope you enjoyed it and I’ll see you Sunday for Part 14 of The Only City Left! Today’s Webcomics Wednesday focuses on webcomics that offer digital issues of their comic. I like reading comics on my tablet, and for webcomics it is: 1) faster to read many pages in a PDF than it is clicking page-to-page on my monitor, 2) more portable, and 3) a great way to support the creator. In case you’re curious, I have a 10″ Toshiba Thrive tablet and I use an app called Perfect Viewer for reading PDFs. Valkyrie Squadron by Jules Rivera is a science-fiction action-adventure webcomic set in a universe where humanity is at war with machines. Yes, a familiar concept, but a fun one. The year is 2495 and the humans fighting the machines are broken up into female and male squadrons. The story focuses on the all-female 4th Valkyrie Squadron, but the bros from Odin Squad 4 also play a role. The story has humor, action (both close-combat and space dogfights), and intrigue, and I won’t say much else for fear of giving anything away. I can say that by the time I finished Book One, there were multiple hooks to keep me reading, so I purchased Book Two right away. Books One and Two are available at the Valkyrie Squadron store for $2 and $3 respectively. Book Three is currently being serialized at valkyriesquadron.com. The Treasure of Captain Read, by Josh Ulrich, takes place before the first Jackie Rose story (Legend of the Sixth Seal) but after The Amazing Eddie Ripcord, and finds Jackie and Eddie in High School. In issue #1, Eddie faces his most dangerous mission yet: asking Jackie to the Prom. Well, okay, there’s a bit about air pirates, too. Specifically, the titular Captain Elizabeth Read. She is a not-very-nice thief with a bounty on her head. Will high-school-aged Jackie Rose be the one to bring her in? I actually snagged a copy of issue #1 for free through a contest on Josh Ulrich’s Twitter feed, but at $1.50 it is a good deal and I’ll be picking up the rest of the issues as they come out. Josh is releasing pages from issue #1 for free during the run-up to the release of issue #2, so now would be a great time to catch up. Lilith Dark, by Charles Dowd, is a fun look into the imagination of one fierce little girl (or is it more than that…? Time will tell.) Lilith is a sort of Calvin without a Hobbes to be her moral compass, so she gets into all sorts of trouble as she fights devil-dogs, mysterious beasties, and in a laugh-out-loud scene in issue #1, a uni-horn. Both issue #1 and #2 are available in the Lilith Dark shop for 99 cents each. Charles is also releasing pages each week for free, but as issue #2 has just started being shared in that format, it is well worth it to buy the issue to read the story in one go. Plus, you will get to see the special moment at the end of the ninth page that much sooner. I dare say no more. So there you have it, three webcomics I was able to enjoy on my tablet. Are there any more you can recommend? Creators, what are your thoughts on releasing digital compilations of your webcomics? For me, it seems like a great idea, but I get the sense that not many people want to go this route. Modest Medusa page 200: An epic panel of Medusa-osity to end the chapter! Little Guardians: Check out this monster splash page. Awesome. LeyLines: Whereas this monster is as suave as he is scary. Ellie on Planet X: Such a beautiful splash panel. Aedre’s Firefly: It’s Aedre vs. the outhouse. I can feel the stench rising off the page. Sunday: Part 14 of The Only City Left, my SF/F serial about Allin Arcady’s adventures through a planet-sized city called Earth! In this episode, we return to Allin’s past to find out what happened when he fled back to Glin’s Rising. How did his parents die? Did he really kill them? Was it all that teen angst that did them in? Be here on Sunday to find out!